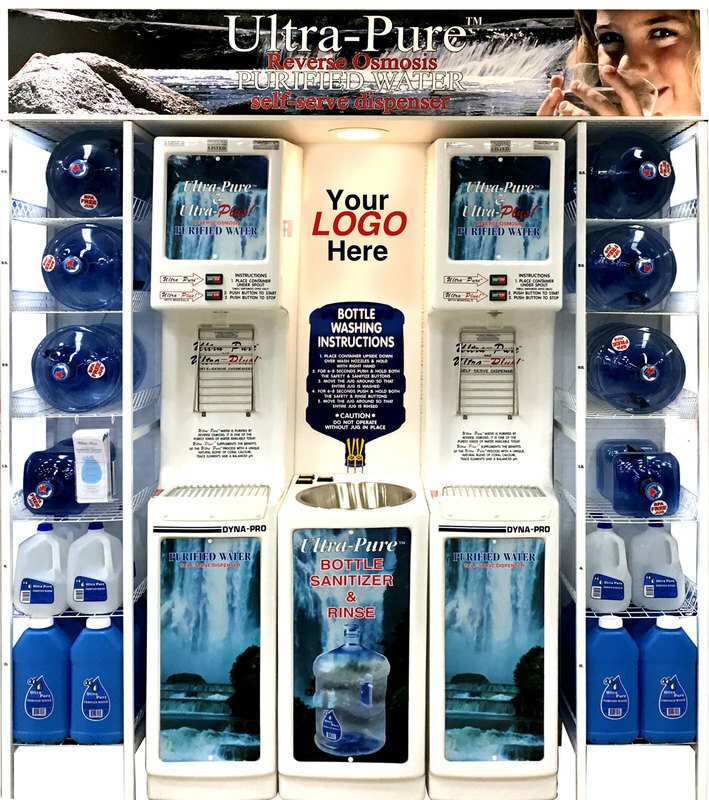 Ultra-Pure™ systems are engineered especially for installation in high traffic retail outlets; such as, grocery, hardware, and convenience stores. They are user friendly for the retailer; providing low maintenance and trouble-free operation; creating generous profit from a minimal footprint. ﻿No size limits: Whether a single system, to a water store, our custom Set-Ups are available to fit any size, or type of business. As your business grows, you can expand your center to meet your customers needs. Check out our Set-Ups to see what will best suit your space. Boil Water Advisories Are No problem! : Capitalize on the need for safe drinking water and Stay in Business During Boil Water Advisories. Our machines are completely sanitary, with no exposure to the environment allowing you to provide safe water. Full Support: 24/7 technical support service allows you to decrease your down time and professional marketing, and promotional material will help you optimize your machines exposure. Reduce Expenses: Eliminate additional shipping & handling changes, reduce shelf space, and slash employee wages. Improve the Quality and Consistency of your Existing Products: Tie directly into your coffee centers and slush machines; saving you up to 25% on the cost of supplies (coffee, syrups, etc.). REMS (Remote Electronic Monitoring System) , is the new generation of equipment to further ensure the quality of your product is second to none. Jug sizes are pre-programmed to reduce the risk of overflow and spills. REMS comes equipped with a LED display, that will facilitate any basic troubleshooting, and allow customer's ease of use. ​The SB1000 Washer & Sanitizer, is the perfect partner for your Ultra-Pure™ purified water dispensing machine. In less than 30 seconds and a simple 2-step process; it will sanitizes and rinse bottles, protecting your customers from the harmful effect of micro-organism contamination that can be present.